Singing talent shows are not new to the devoted Indian audience but this has been restricted to Indian participants only. What happens when you take the competition to the globe? A singing reality show which has participants from across the globe, irrespective of their nationality, language and culture. The only things common between them being their love for Hindi music. Experimenting on this thought, Star Plus is bringing forth a first of its kind show in the Indian television history, ‘Dil Hai Hindustani’. The format of the show will showcase performers from across the globe, solo, duo and groups competing with each other on the same stage. An add-on to this unique concept is a panel of eminent judges who have created a niche for themselves and left a mark on the minds of the Indian audiences with their work in the Film and Entertainment segment- Karan Johar, Badshah, Shalmali Kholgade and Shekhar Ravjiani. 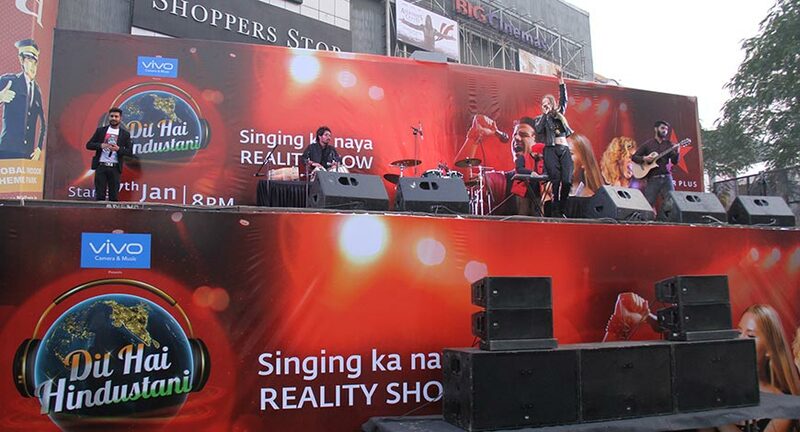 To create awareness about their upcoming show and its unique format, Star Plus and DDB MudraMax created three unique concepts for ‘on ground’ activation. The objective was to make the audience experience the feel of the show in a larger than life format. DDB MudraMax’s task was to appeal the audience who is already bombarded with music reality shows to perceive ‘Dil Hai Hindustani’ as a clutter breaking hindi music show. The on-ground campaign kept the unique charm of the show’s theme in mind while constructing a visual musical treat for the audiences in order to promote the show. The idea was to make the audience experience something they have never before been a part of in the colloquial lifestyle. The agency chose India’s national capital- Delhi and the commercial capital- Mumbai as the target locations. The theme was to create an element of surprise for the audiences in one of the busiest locations in these cities. The city of Mumbai is known for its fast life and its lifeline- The local train. The agency decided to catch hold of the unsuspecting travelers and host the activation in the heart of Mumbai, the Andheri train station. An elegant Bollywood Café setup featuring a Hindi music concert at a Railway station became the backdrop to engage the by standers at one of the busiest train stations. 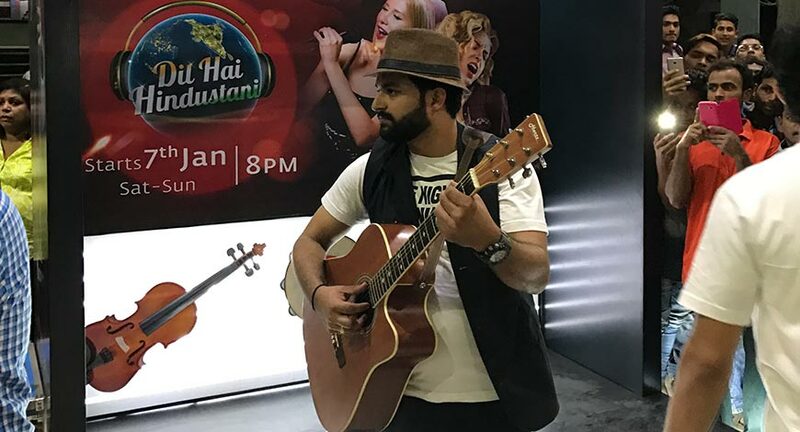 To replicate the concept of the show and create a soulful musical environment, the agency showcased a singer of foreign nationality with an acoustic guitar which enthralled the audiences. To assist him was the Master of Ceremony who kept the audiences engaged with Hindi music related trivia, soulful musical interaction, Dil Hai Hindustani signature move and impromptu performances, hence driving the show proposition and tune-in in the most lively manner. Within no time the train station transformed into an arena for a heavily packed audience to enjoy music. The Bollywood café became a stage for the audiences to perform for the gathered flock of music enthusiasts. 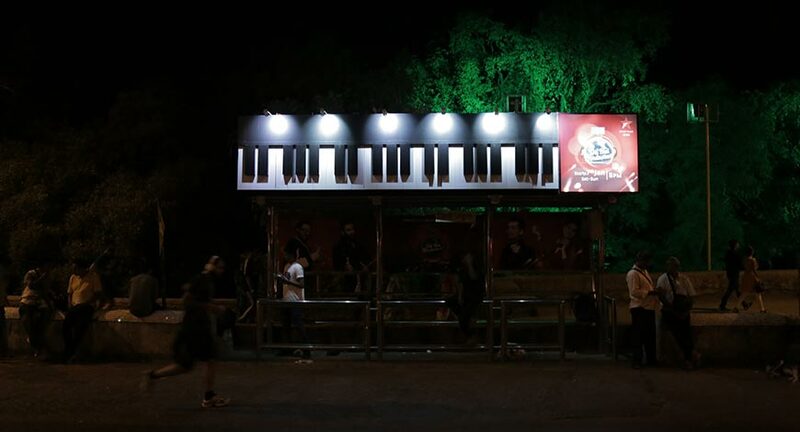 At the second location in Mumbai, Bandra West, a simple bus stop was transformed into a live piano that played the title symphony of the show. The largest playing piano hosted at a bus stop amazed the audiences with moving the keys of the piano actually, playing an instrumental symphony. Parallel to these activations, the agency successfully attracted the attention of people by hosting a Live Billboard concert in Delhi. A foreign national singing Bollywood songs with an engaging live band created a unique experience for the audience. The name of the show itself suggests that although the show is executed on a global scale, the core remains truly Indian. The on-ground activities of promotion resonates with the spirit of the show. ‘Dil Hai Hindustani’ launch episode rated an encouraging 3.2 TVR. The show in its first season has garnered the highest viewership ratings for the opening week as compared to all other talent shows launched in the last one year (BARC, HSM Urban, Fem 15+ NCCS AB). As per data released by BARC for Week 2 in 2017 over 40 million people across the country watched Vivo Camera & Music presents ‘Dil Hai Hindustani’ in its launch week.